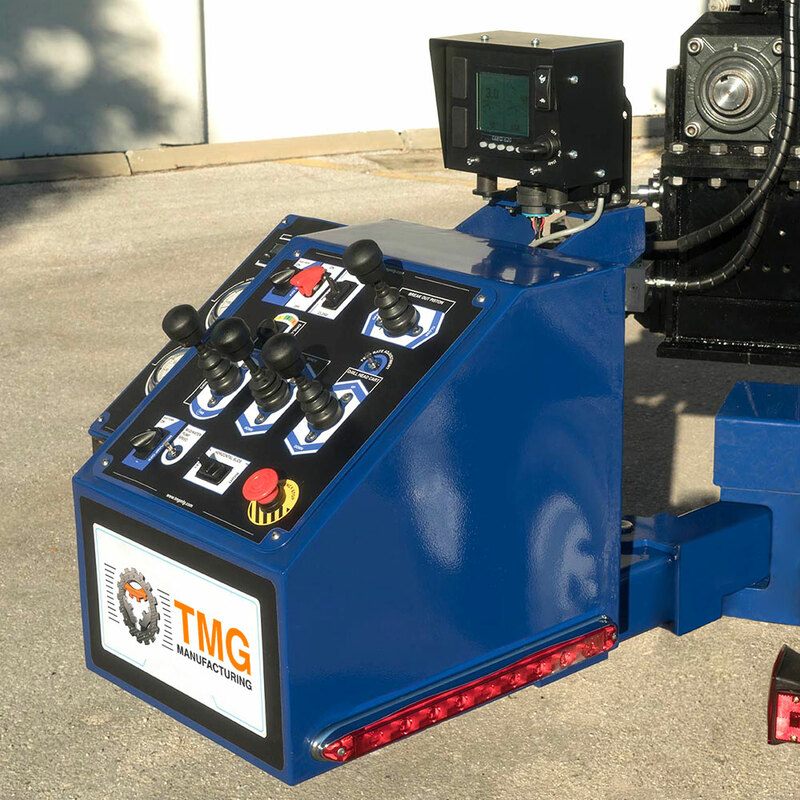 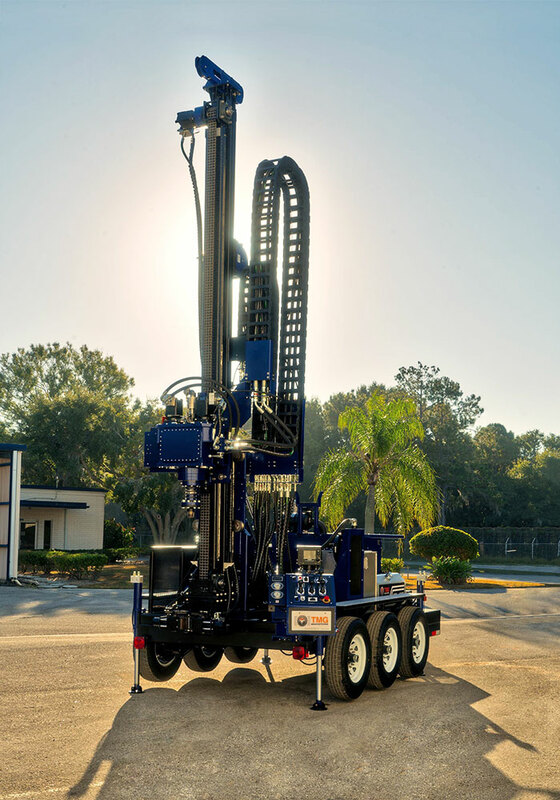 Our powerful WW-174 is designed specifically for the water well contractor, and features a highly efficient 74 horse power, tier-4 compliant engine, and 4-speed, high torque gearbox. 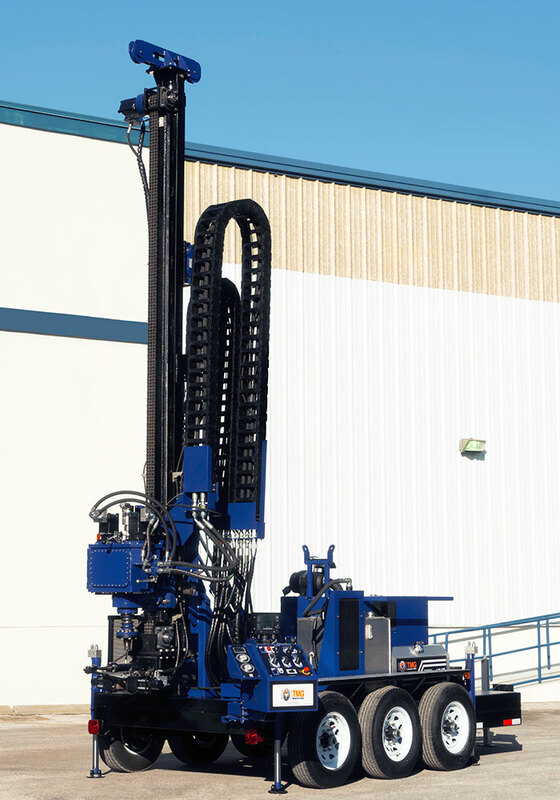 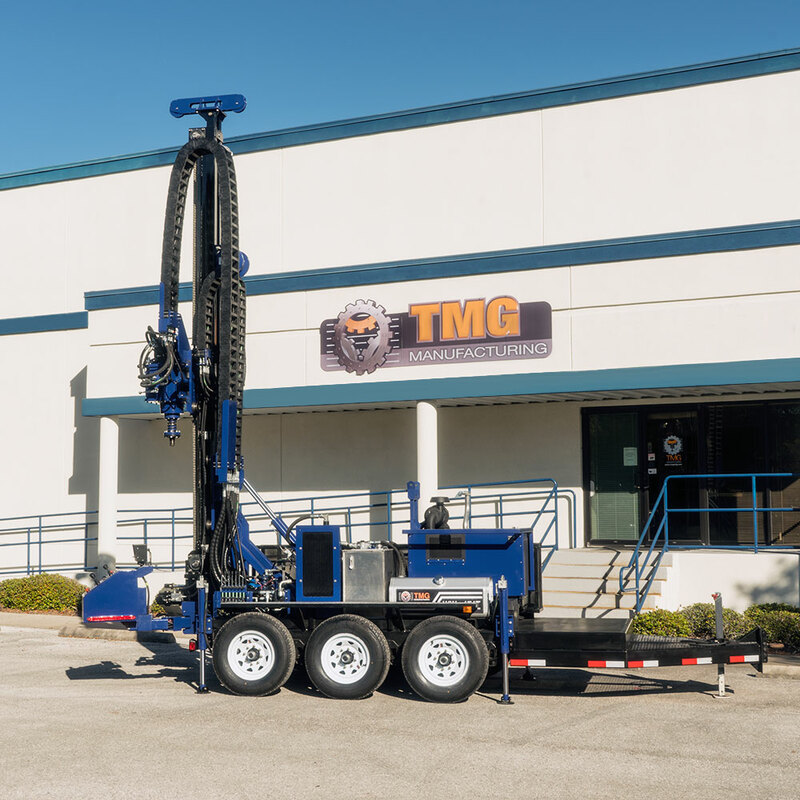 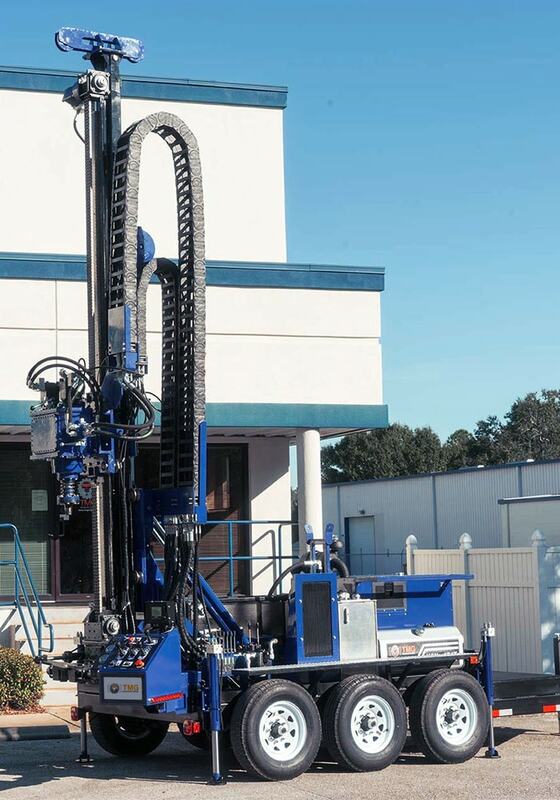 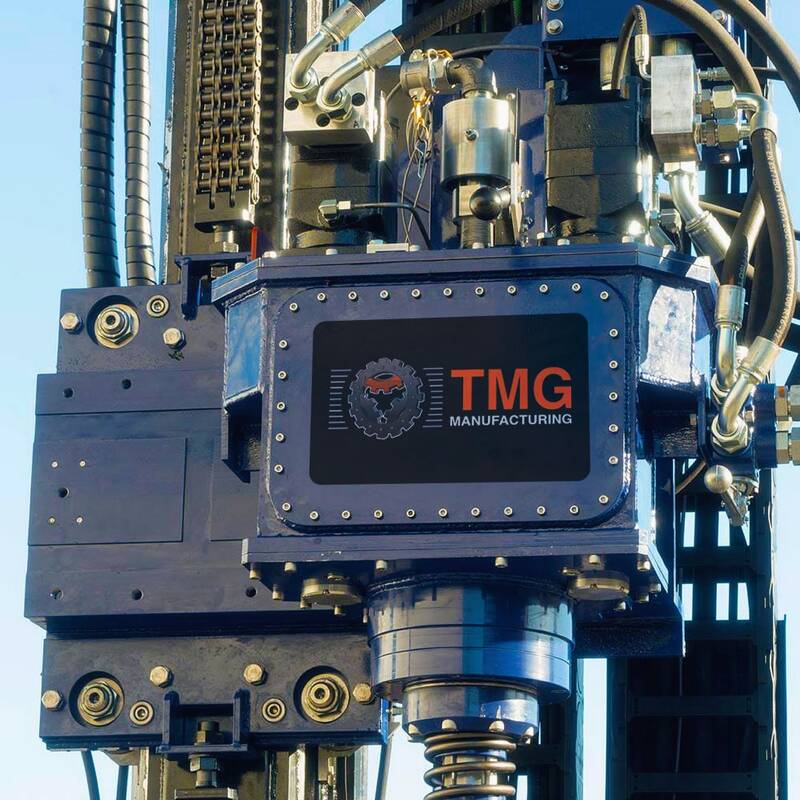 This rig comes standard with an extended mast, built to accommodate 10 foot drill rods, and can drill to depths of 500-650 feet. 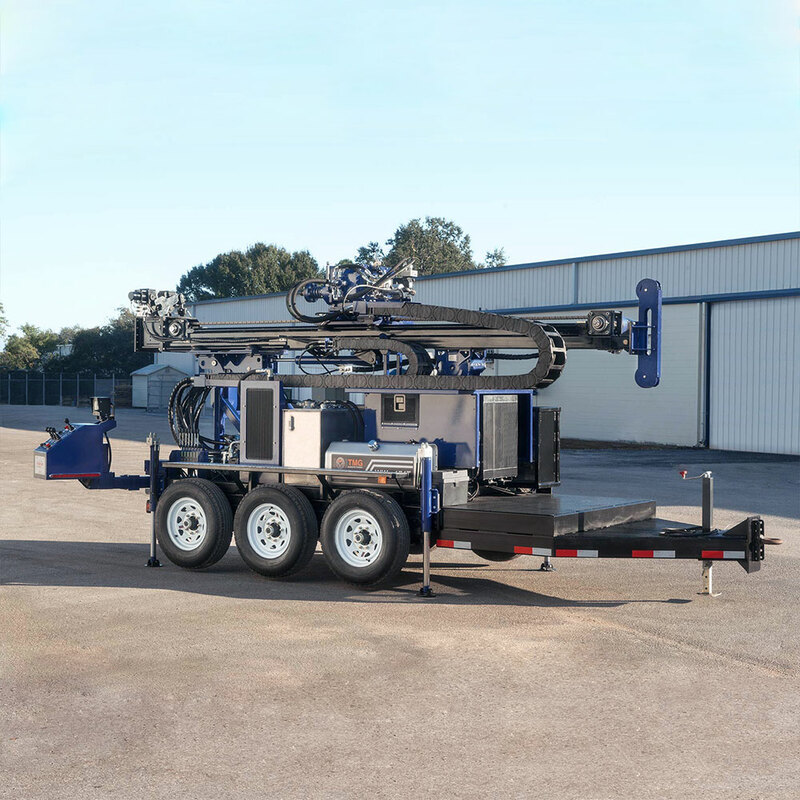 It also includes a high capacity winch and a pipe clamp. 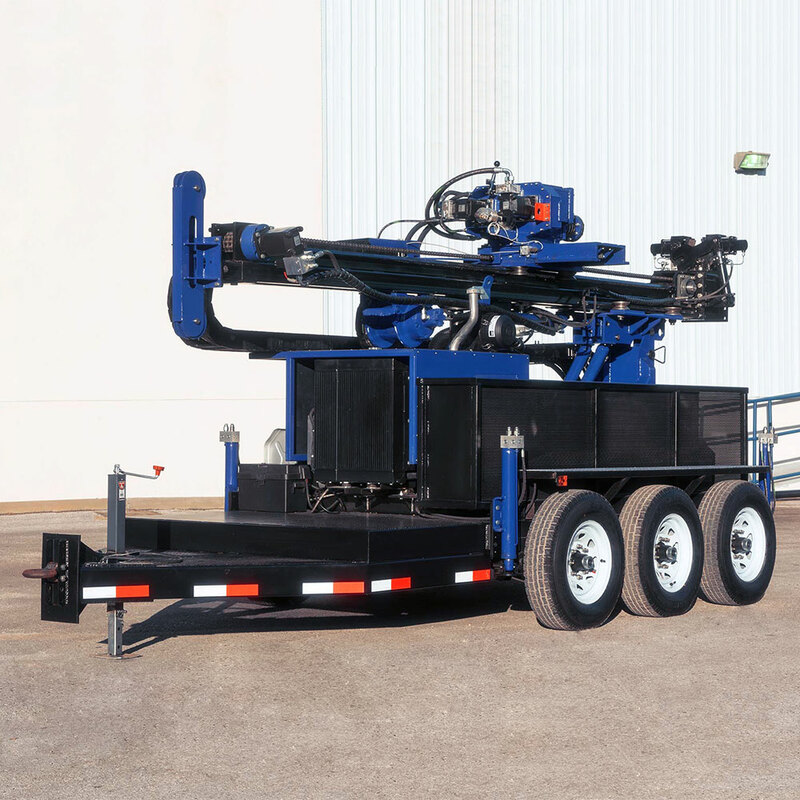 Can be mounted on a truck, trailer or our rubber track system.